This workshop was designed as a scoping and networking event to take forward the work of the Hippocrates Initiative for Poetry and Medicine. 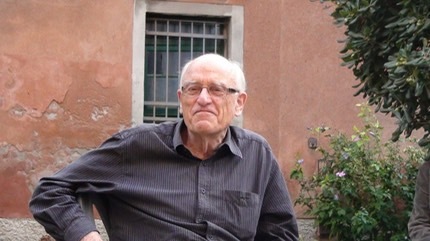 The four annual�International Symposia on Poetry and Medicine�held by the Hippocrates Initiative since 2010 have shown that there is a substantial wish for an international umbrella association that would serve as a switchboard for the gathering, coordination and dissemination of information in the field, and to institute activities that further an understanding of relations between poetry and medicine. The Venice workshop was designed as a two-day exchange of views aimed at establishing the priorities an umbrella association ought to have, identifying focal interests for potential research groups and working parties, and identifying interests for exploration in subsequent workshops. There were be a small number of talks but the emphasis was on discussion and consultation. Themes considered by speakers and during break-out sessions and round table discussions will included historical perspectives, epidemics of infection from the plague of Athens to syphilis, tuberculosis and HIV-AIDS, and modern non-infectious epidemics, from obesity to heart disease, psychiatric disorders and cancer. The Venice workshop offered a key opportunity to be part of the planning process for the Hippocrates initiative and the new Hippocrates Society for Poetry and Medicine, and to help shape a significant new aid to workers and researchers in a growing field. - what is known already about the interface between poetry and medicine - both from humanities and from health perspectives? - what are the challenges when assessing the impact of poetry on health? - what are the major gaps in understanding the value of poetry in medicine, and the significance of medicine as a theme in poetry? Excludes travel, accommodation and lunch. Lunch will be at a restaurant near the Palazzo. Palazzo Pesaro Papafava is a few minute’s walk from the Rialto Bridge and Ca’ d’Oro. 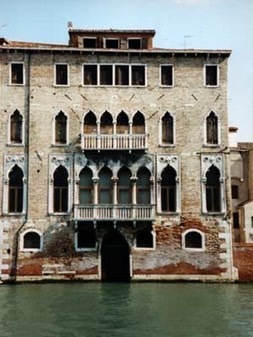 It is located on the Canale della Misericordia, opposite the Scuola Grande della Misericordia, with views towards the Grand Canal and the Lagoon.